Minnesota Green is your connection to plants, seeds and tools! Since 1988, Minnesota Green—a program of the Minnesota State Horticultural Society (MSHS)—has been serving the greening and growing efforts of thousands of gardeners throughout the state. 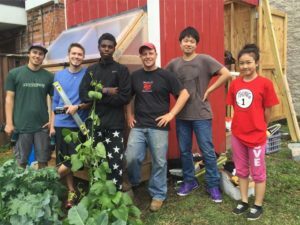 It promotes community gardening as a means to strengthen neighborhoods through activities that connect people and plants and help people grow their own healthy food. 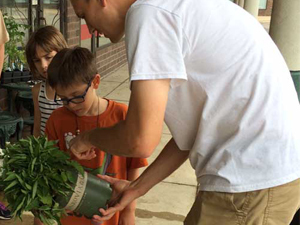 How Minnesota Green program participants connect with MSHS and receive plant donations. Minnesota Green program application and guidelines. Information on making plant donations and community impact. Information to help community gardeners - links and resources to get you started and keep you growing. How the Minnesota Green Program is funded. Read about some of the groups who have participated in the Minnesota Green program over the years. In Fiscal Year 2018, Minnesota Green distributed over $200,000 worth of plants, seeds and tools. 92 garden groups in the seven county metropolitan area participated in the Minnesota Green program in 2018. "On behalf of Munsinger and Clemens Gardens and the City of St. Cloud, we would like to thank you for all your support over the last many years. Munsinger and Clemens Gardens is a free public garden located on the banks of the Mississippi River in St. Cloud that attracts over 350,000 visitors every year. Our volunteer gardeners have planted approximately 80,000 annuals and another 10,000 perennials, shrubs, roses, tulips, and other miscellaneous plants in this 20+ acre park. With the help of Minnesota Green we are able to continue to offer our community and visitors new plants and new designs every season." Contact Tom McKusick, Minnesota Green Program Manager: tmckusick@northerngardener.org.